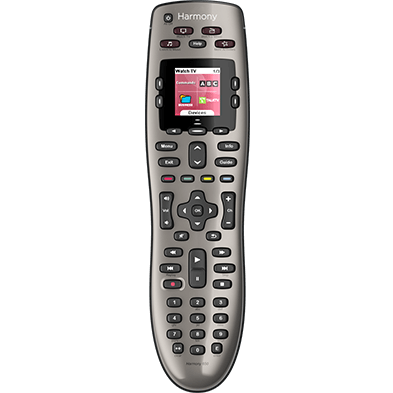 With Harmony remotes, you can customize the commands that appear on your screen. These are unique for each Activity. 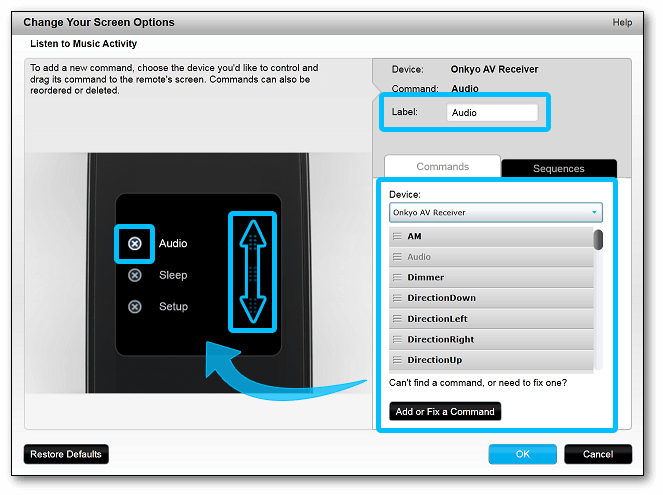 For example, you can set the Subtitle command to be on your screen when using your Watch a Movie Activity, and your Sound mode command to be on your screen with your Listen to Music Activity. 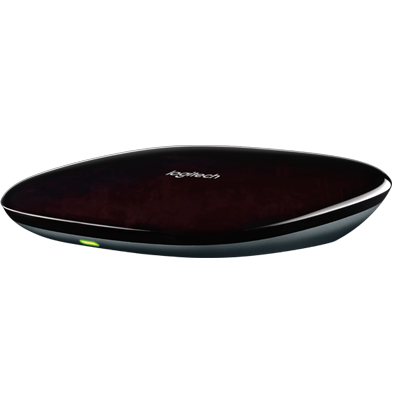 Sign into the MyHarmony desktop software and select your 600/650/700 remote from the Remote Gallery. Select the Buttons tab on the left side of the screen. 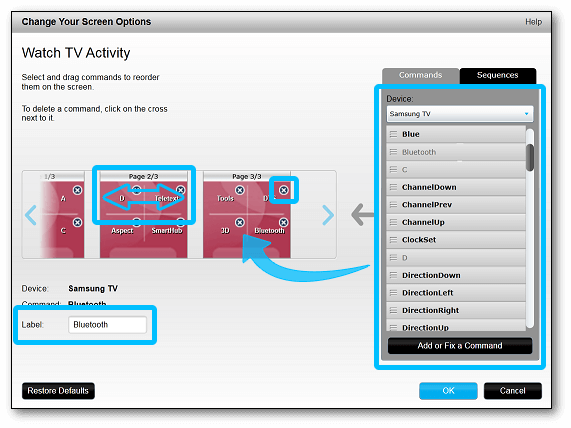 Under the screen options section, select the Activity you're customizing a screen command for(e.g., Watch a Movie). Screen customizations are unique for each Activity. 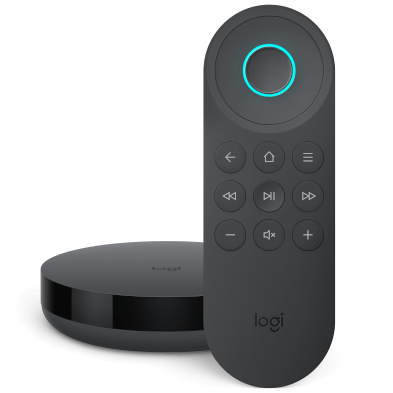 On the next screen you're presented with a visual representation of your remote. To add a command, drag it from the right panel. To rearrange a command, drag it to a new location. To rename a command, change its Label. To remove a command click the (X) icon. Launch the Activity you want to customize buttons for. Swipe left or right to the screen you would like to customize. Press the Menu icon, then Edit. On the next screen you'll be able to make your desired changes. To add a command, tap the + button.